I should be a good mom, and make something for Aldous! I make and buy him so little because he has so many of William's outgrown things. Poor kid! But, William had grown out of the two long-sleeved polos I had made him, and it's just too cold right now for short-sleeved shirts. I got the idea to make a rugby style shirt, with a woven collar and placket instead of the usual knit, and boy was that fun! I LOVE how they look! I made one, to try it out, then two more. While I was photographing for this post, William was at school in the first polo!. First off, I changed sewing patterns. 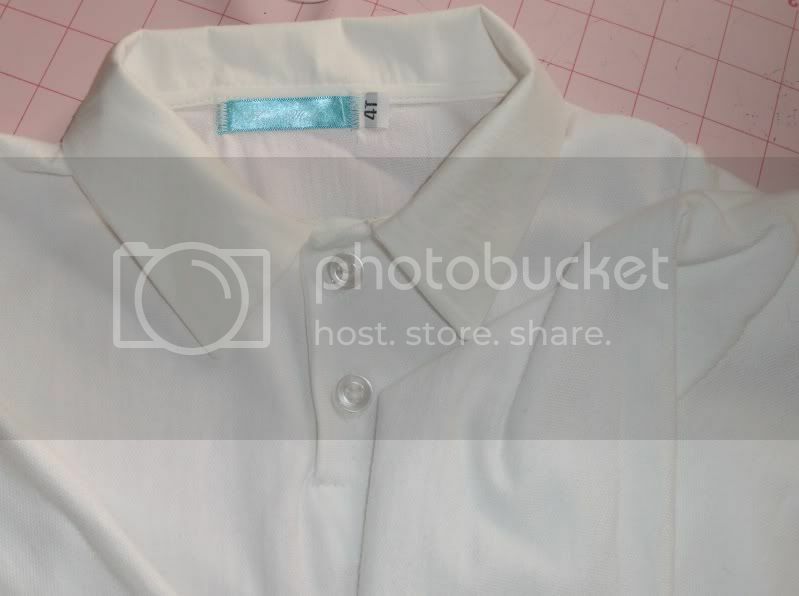 For some reason I have been terrible baffled by how to make the polo placket. I tried a tutorial, read instructions and I made plackets. They were fine, but I wasn't happy with them, and they were way too complicated!! 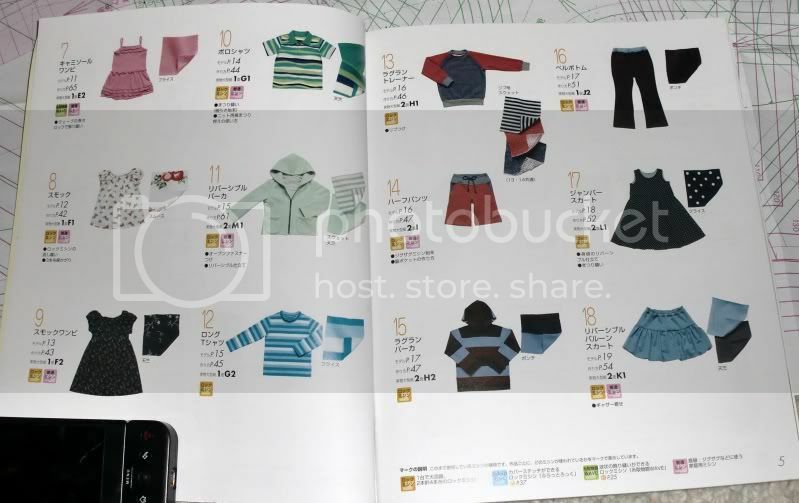 When I was making William a new outfit for dance class, I noticed that my Lalala 3 book had a polo pattern and a long sleeve tee pattern. Viola! I want to talk about this book a minute. If you had to have ONE book with which to clothe your toddler/preschooler, it's this one. I LOVE it!! 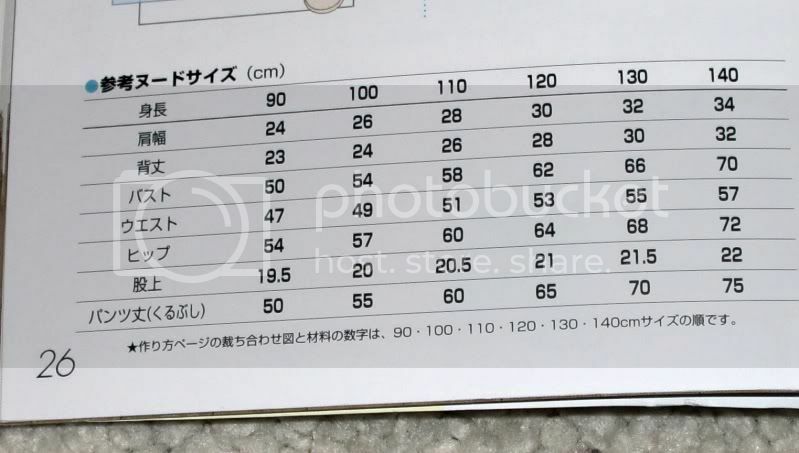 Here's the size chart: it's mostly in Japanese, but it's easy enough to figure out. There is also a picture that goes with it. 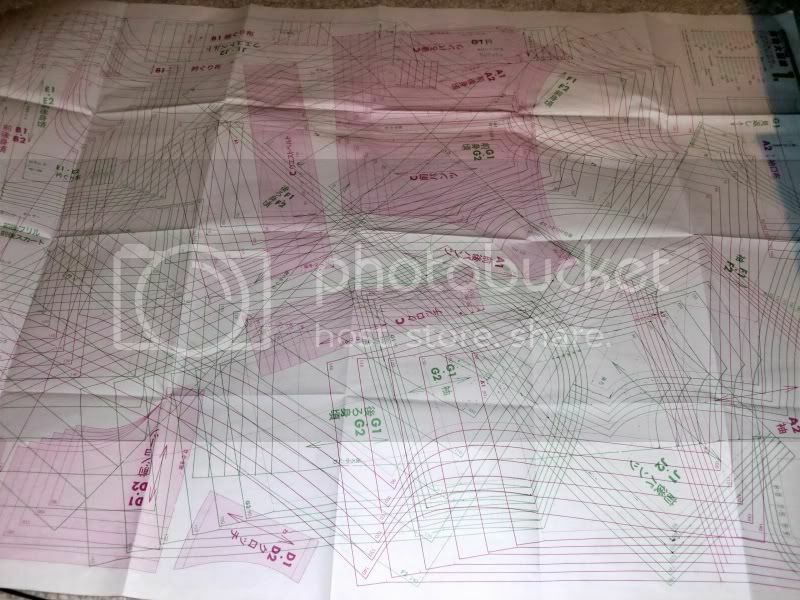 Here's a pattern sheet. Only slightly maddening. For the shirt bodies I used a Lacoste pique knit I got from Fashion Fabrics Club. I bought both red and white. It's SO nice! Not rough-textured like cheaper pique knits, at all! Not that this was expensive, ($4/yd) but it's better than cheap ready-to-wear pique polos. Very soft to the touch, and not stiff, either. 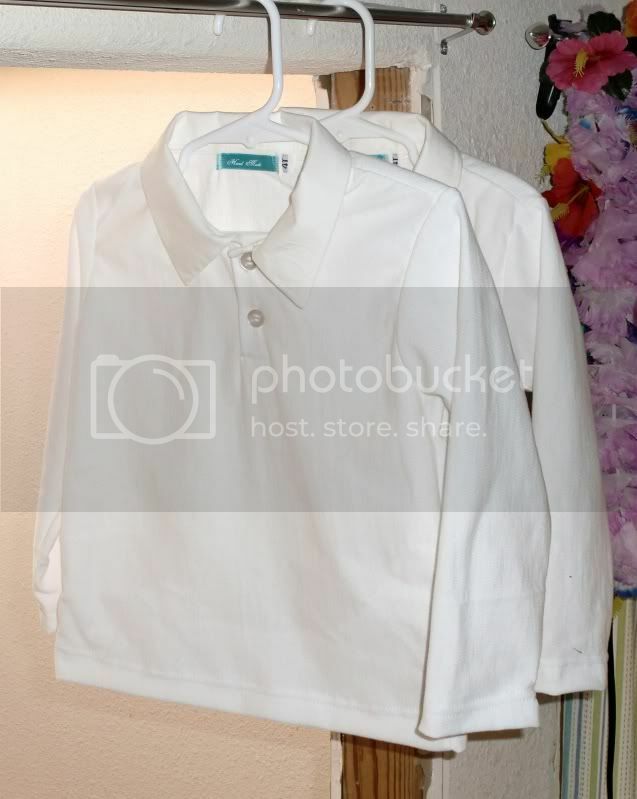 The collar and placket are cotton poplin I bought a while back at Golden D'or. 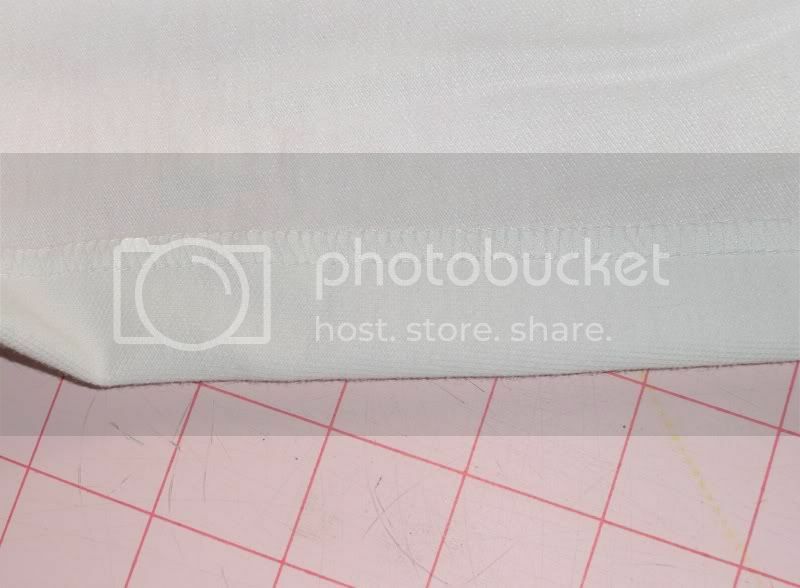 My lovely cover stitched hem. 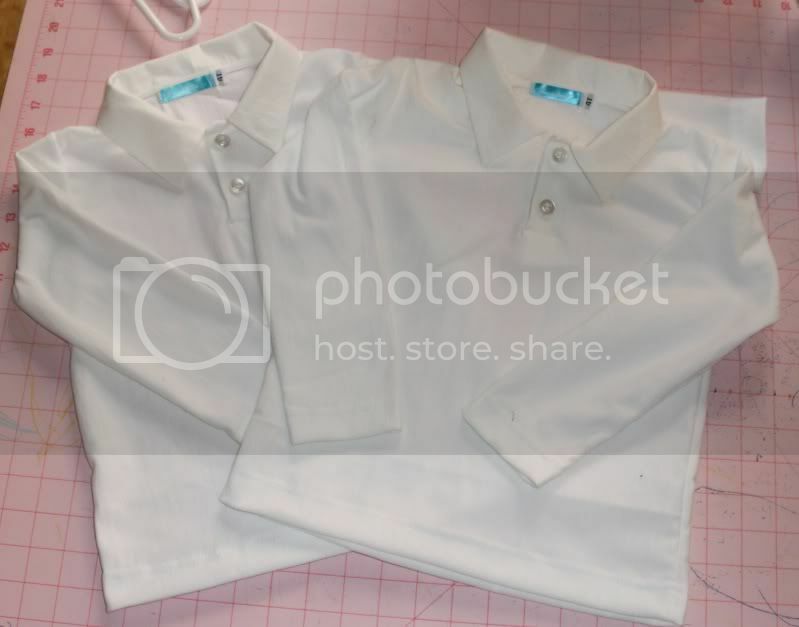 The previous polos had double-needled sewing machine hems. bleck. I highly recommend that book for it's (very obvious) genius! So I have some questions about your Lala book. 1) What is the breakdown as far as knits vs. wovens? 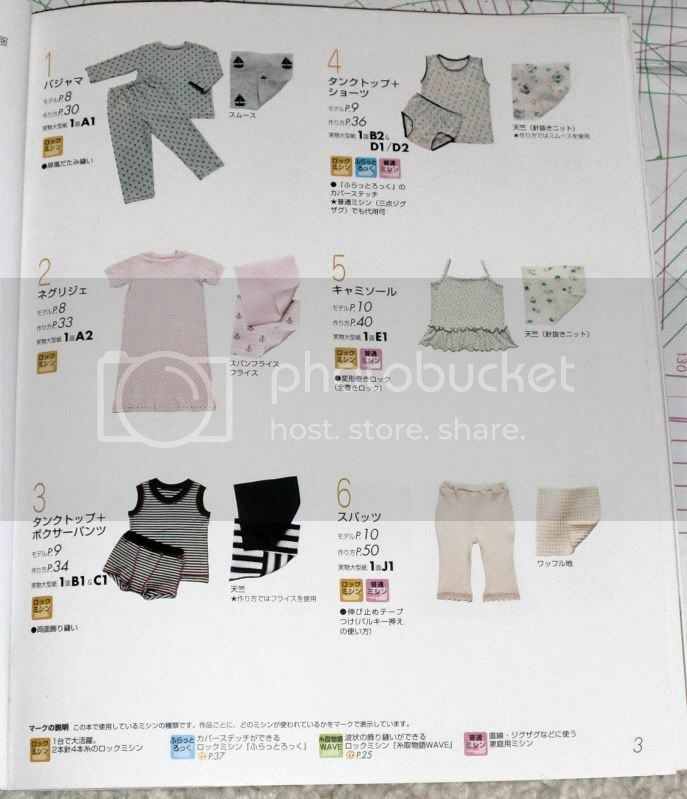 I feel like I am swimming in knit patterns from Ottobre but I want to find more girls' dresses/tops for wovens. 2) Where did you buy it? Seriously, though, I'm loving the book and think there are options in there for a more novice seamstress like me. Ditto to Julia, where did you buy it? 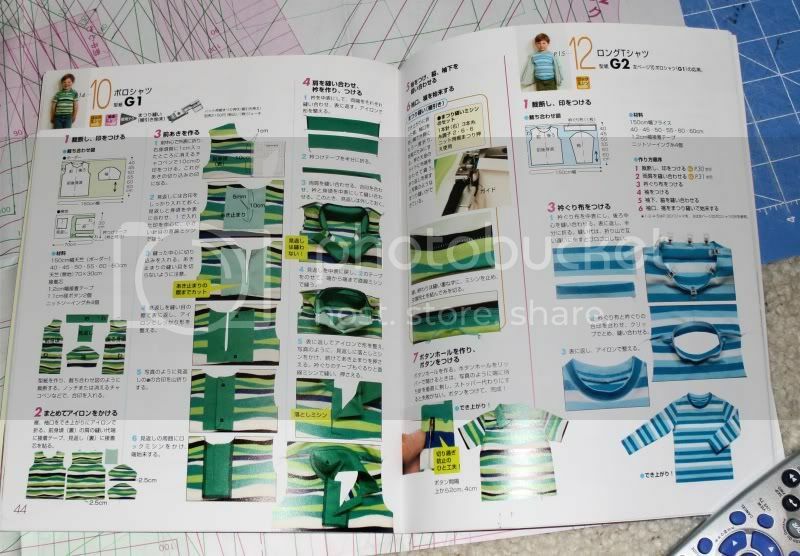 Julia: it's mostly knits, and the instructions, in Japanese, are for serging. For which girl do you need better patterns? I know the Vintage Kwik Sew for Toddlers has more woven stuff than the "modern" one. Those look fantastic! You twisted my arm. I bought one off etsy this morning. Seller was (for those that want to know) Pompadour. But if you just put "lalala 3" in the search box - they come up. She had 2. Sorry - it was "Pompadour24" on etsy that was the seller. 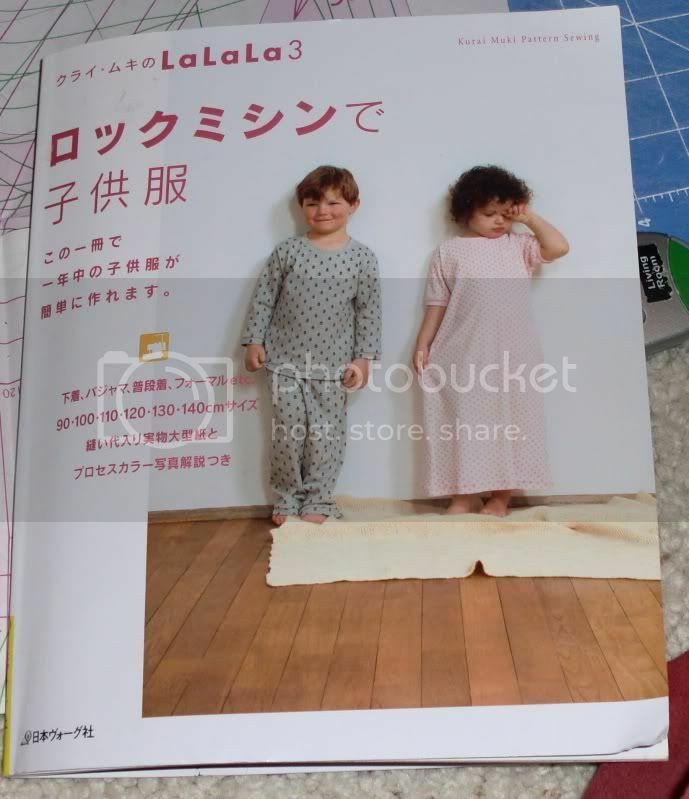 another Japanese sewing book that I've seen and liked (but not bought, because I sew for boys) is Girly Style Wardrobe. 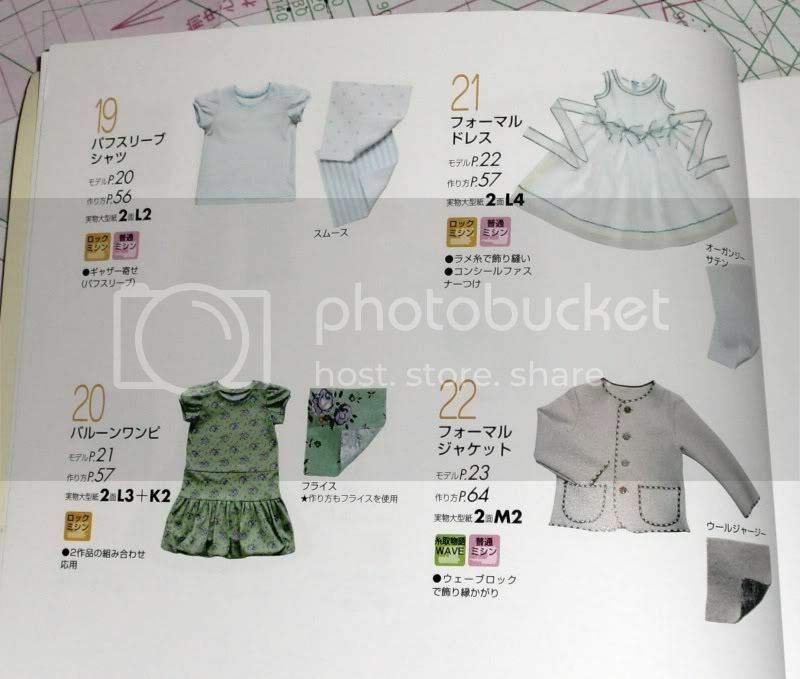 There are some beautiful dresses and outfits in it!